The olympics seems to be on the tip of everyone’s tongue here in England, especially prior to the Queens celebrations these past few days. With the Olympics in mind I thought we’d focus on one of the artists who has been commissioned to create work for the games. My internet search found me watching this delightful short film by director Shelly Williams which follows the work of Ben Dearnley, a professional sculptor working in collaboration with some of the finest athletes that team GB has to offer. The artist who is based in Bath is known for his figures chiselled from a range of materials including marble, bronze, tone and glass. 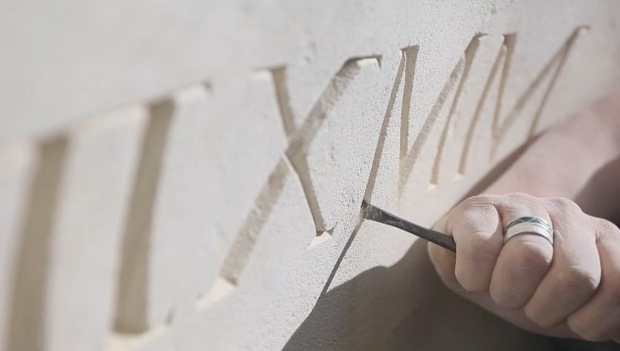 In this particular project he has created casts with over ten British competitors as he looks to capture the power and stature of an olympian, preserving their stature in stone for all to admire. The craftsmanship of his work is quite remarkable, as there are very few individuals still working in this way because it takes real heart and hard graft to create something memorable. I have to say that from working on the internet for several years I’ve slowly developed a disinterest in seeing the human form, particularly in photography portfolios. Credit is due here however as I think Ben provides both the context and captivating form that’s a refreshing reminder of the beauty that the human shape beholds. I really enjoyed watching this film over as it not only highlights the talents of Ben but also features the artist explaining the project too, which goes a long way in helping the viewer understand the dedication it takes to create artworks like these. If you’d like to learn more about Ben Dearnley and his work I’d recommend taking a short click across to his webpage via the link below. In the meantime lower your gaze, press play and enjoy!